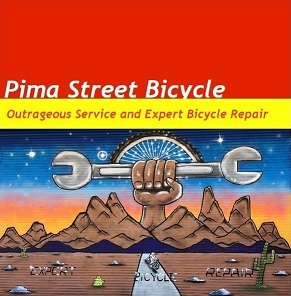 Spring Bike Swap 2019 - Sunday, April 14, 7am-1pm - Events - Greater Arizona Bicycling Association, Inc. Welcome to the Spring 2019 Bike Swap! 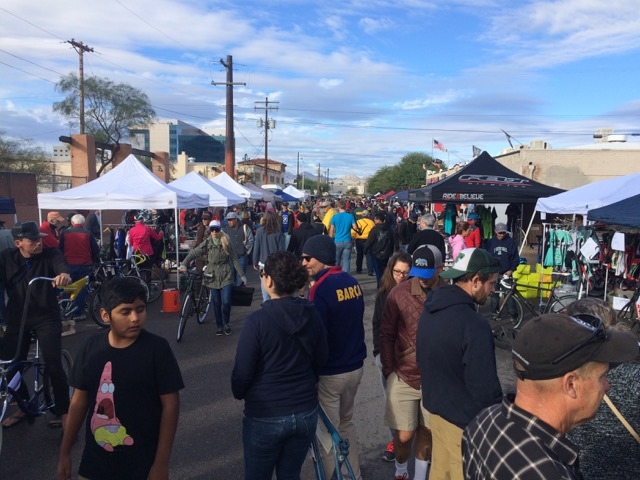 The largest bicycle swap in the southwest, GABA's Bike Swap in Tucson attracts over 5,000 attendees and more than 40 vendors bi-annually. VENDORS, Please Use the Vendors Registration Button off to the right (or click HERE). Spaces are assigned by the event coordinator based on the number of spaces available and the event history. The coordinator also gives consideration based on when you register, so register early to get the best space. See the map below to locate spaces that will best display your goods. Don't worry about being a member of GABA or not, and go ahead and use the default non-member options while registering. While in the future I may put a price break in for members, you are not required to be a member and there is no discount for being one. If you are a vendor that collects tax from your store outside the City of Tucson, please note that new rules have forced me to register and give out your business information to the city. Please help me determine this by indicating you're a business on the registration page. The City will contact you with regards to a temporary vendor permit which is $25, and they may collect tax from your sales. More information is HERE. If, for example, you are selling items out of a garage, or are registering as an individual for this bike swap, then you will not be required to register with the city. INDIVIDUALS: Individuals this year may register for an individual (single 10x15) space. Click the Vendors Registration button off to the right. Note: These spaces are available on the vendor grid off 7th street closer to the action. Don't be left out if you're an individual with several items you'd like to sell or swap. Reserve the new standard space today to ensure you have a place at the Spring Bike Swap. No vehicles may park in these spaces. 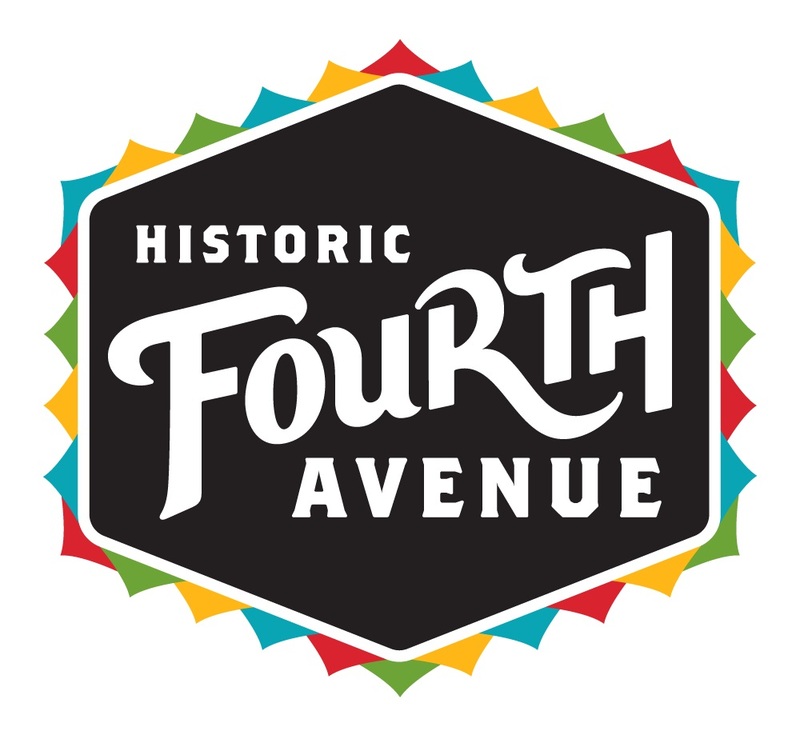 You will be allowed to park in the parking lot at the southeast corner of 5th Ave and 7th Street. BUYERS: Come down to see a wide selection of bicycles and bicycle parts from around the southwest. I JUST HAVE ONE BIKE I WANT TO SELL: I've been here before too. Bring it down, put a price on it, walk around and check out other stuff from vendors and other individuals that are trying to sell or swap. I HEARD THERE ARE FREE SPOTS! : There are, but get in early. There is one section available on the end of 5th Ave near 6th St. In the past, these are full by 5-5:30 am. Please be courteous of other individuals who would like to sell their items and only take ONE spot. Note that No Vehicles may park in these spaces. Disclaimer: Spaces are coordinated and signed up on a first-come, first serve basis. The organizer has no control if a vehicle has been left over-night and is in your assigned space that morning. The organizer will do his best to give the affected vendor the best space available the morning of the bike swap. The bike swap is for bicycle items only. No parking in the free area or individual (10 ft) spots. A 15x10ft standard space reserved for you and assigned to you for the event. The spaces are scattered throughout the grid. The standard spaces are limited to individuals only, one space per individual. Commercial vendors are strongly encouraged to register for a premium spot, which allows more space and is located in a premium location. Bike items only please. No vehicles may park in these spaces. A 15x20ft space assigned to you by the organizer for the event. Bike items only please. A 15x30ft space assigned to you for the event. Bike items only please. Parking is allowed in this space. A 15x40ft space assigned to you by the organizer for the event. Bike items only please.